My name is Maryna, I am 26 y/o. We recently moved to Geneva and I will be happy to take care of your pets! I had pets living with me all my life. 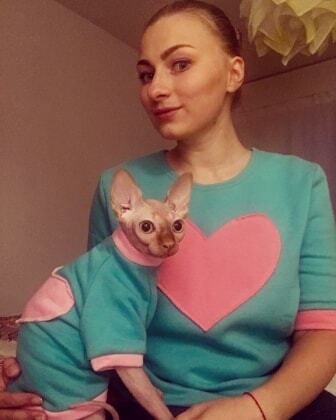 Currently I have 2 adorable sphynx cats. As I was working in veterinary clinics, I also have experience taking care of dogs, ferrets, rodents, rabbits and reptiles. Unfortunately, I don't speak French yet. Marina a pris grand soin de mes chats durant mon absence. Lorsque je suis rentrée, ils étaient tout sereins. Je recommande vivement les services de Marina!